Over the last few weeks I have spoken to people at different stages in their career about what PR consulting is really about and how the profession has changed. 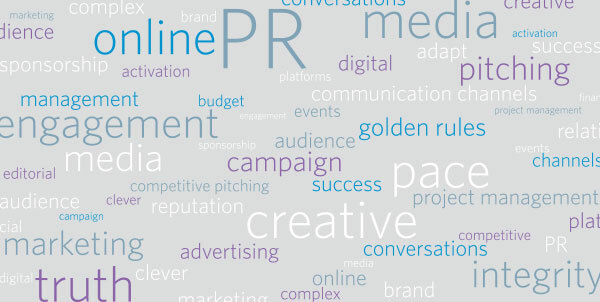 PR consultants today are truly multi-skilled, working across a complex range of marketing and communication channels. With seemingly endless options for communicating, it is our ability to understand the interests of the intended audience, matching the right content with the right channels to provide real value. This is the era of integration. To me, this means looking strategically at the big picture to make sure individual elements work together and nothing is done in isolation. Whether the objective is to change behaviour or build reputation; success will be achieved from using the right mix of communications. This might mean combining several components, such as advertising, sponsorship, activation, events, audience engagement or editorial media and it will certainly include some form of online or digital. We still research and frame conversations, and we still use the platforms and places that matter to those we are trying to engage; it’s just the shape, pace and context of these conversations that has changed. In the midst of this change, some golden rules still apply to delivering effective long-term public relations programs: acting with integrity, telling the truth and being prepared. Delivering great work – you must be able to consistently deliver exceptional work – the old saying ‘you are only as good as your last job’ applies. Managing projects and being financially astute – as your career develops you must develop high-level project and financial management skills. Building relationships and on-going work – you need to be able to retain and grow client relationships to create new opportunities. As a colleague of mine once said, ‘you can’t have oak trees in agencies because nothing grows under them’. I love working across this spectrum. Working with clients and seeing results is very rewarding; so is managing a budget and project effectively. I also relish the creative and competitive thrill of pitching for new work, the wonderful energy of working with a bunch of clever people (our team and our clients) and the incredible feeling of delivering a great campaign or working to build a brand.